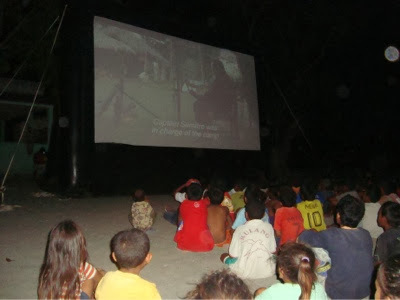 Last week Angelo and Lou were in Suai district for 6 nights of well attended screenings to a total of 7000 people! Upon arrival in Suai after meeting with the DA the towns and films for the week are chosen. Tuesday the 12th is a National Holiday to commemorate the tragic Santa Cruz Masacre, so for Monday, Tuesday and Wednesday Cinema lorosae screened Peter Gordons incredibly pertinent documentary BloodShot. 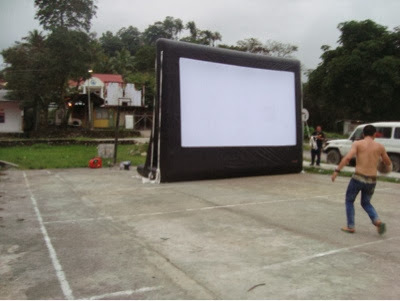 On Monday the 11th November they screened Blood Shot in Suai town itself, to 1100 people. 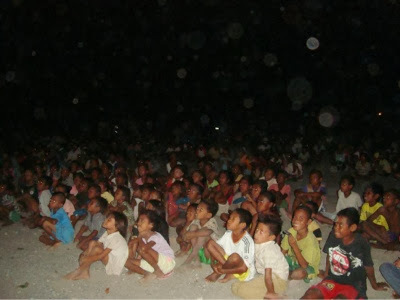 Tuesday the 12th they screened Blood Shot again in Matai, to a huge crowd of 1600. This was Santa Cruz Masacra memorial day, so it was very important to show this film. 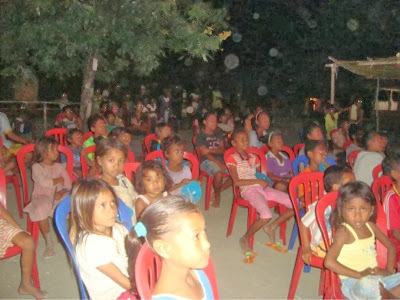 Wednesday it was Blood Shot again to a 1000 people in Suai Loro. 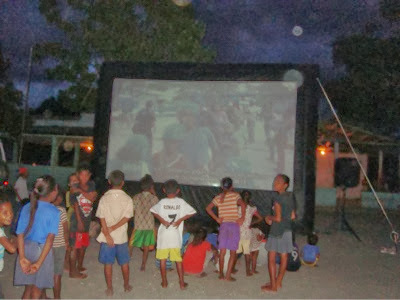 For the rest of the week they returned to this years hit and most popular film, Timor Leste's own film, A Guerra da Beatriz. 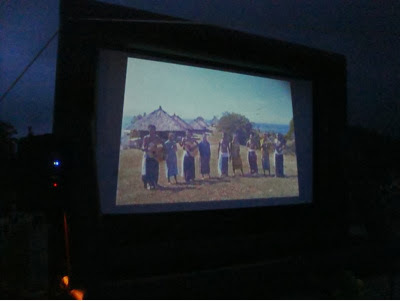 On Thursday they screened in Kamanasa to 1500 people. 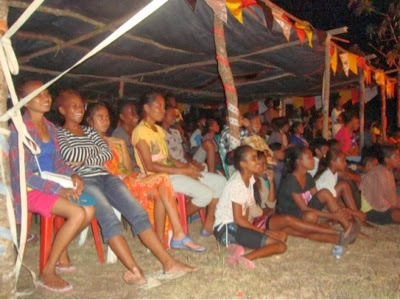 Friday a cosy crowd of 900 attended in Oques. They finished up on Saturday night in Seran Kotek, to a healthy crowd of 1200. Sunday the long drive home..... 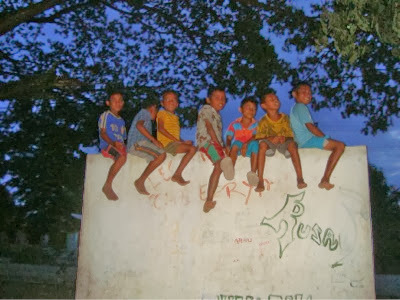 They will be home in Dili for a week before heading off to Viqueque.